We are committed to providing our patients with the best possible dental treatment using the latest dental technology and materials. 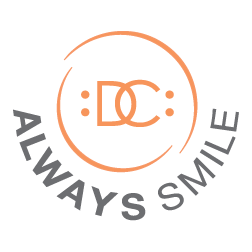 Our team is a group of highly motivated, caring and personable professionals dedicated to providing dental treatment with the highest quality standards in a caring, relaxed and pleasant environment. Our administrative team has many years of experience in the dental field and is dedicated to providing our patients with exceptional friendly care. Tasha, Peter and Afshin are dedicated professionals, highly skilled and gentle. They are committed to your preventive dental care both in the office and at home by providing you with the information and tools needed to achieve it. They are highly motivated professionals committed not only to your Oral Health but overall well being. Our assistants are an invaluable part of our team. They are instrumental in making your appointments pleasant and are completely synchronized with Dr. Lievano, Dr. Bouchebel and Dr. Snyder. Their professionalism and attention to detail allows us to provide your care on time, efficiently and with the level of quality we strive to provide and you expect.